The U.S. today detains and deports noncitizens at historically unprecedented levels, and immigrants with criminal convictions are one of the key targets for mass deportation. Harsh immigration laws passed in 1996 combined with a political climate that brands immigrants with convictions as a threat to public safety puts millions at risk of detention and deportation. 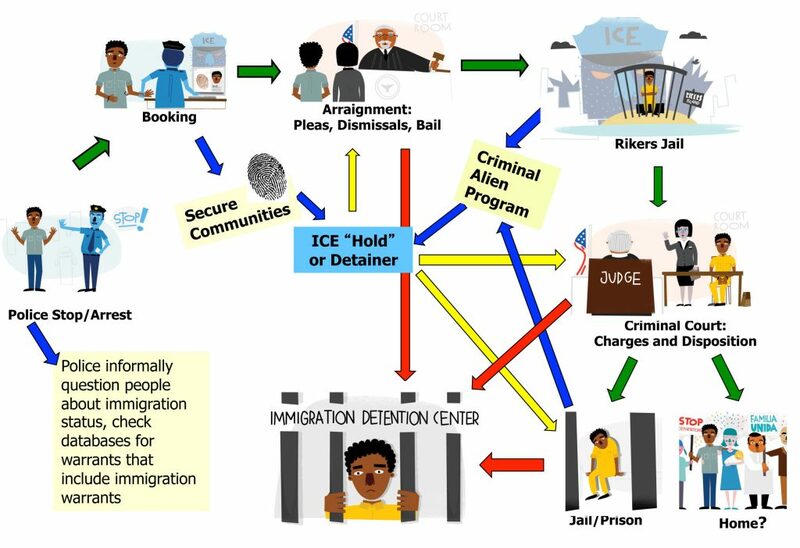 IDP works to distangle immigration and the criminal legal system, and protect and expand rights at every point of the process.